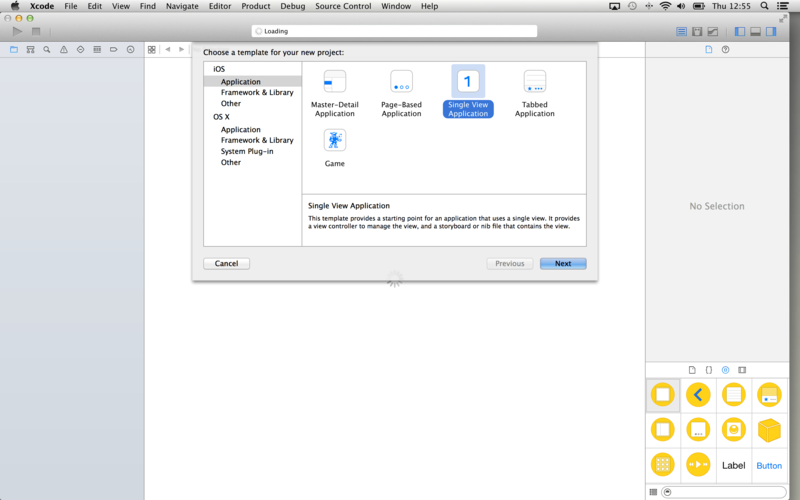 STEP 1: Take your time, keep Xcode closed for a while. User interface, navigation between screens and patterns to use. So we wanted an app, that should show the user a table with some stock values, with a search functionality to add new values, and with a detailed screen for one stock in particular. 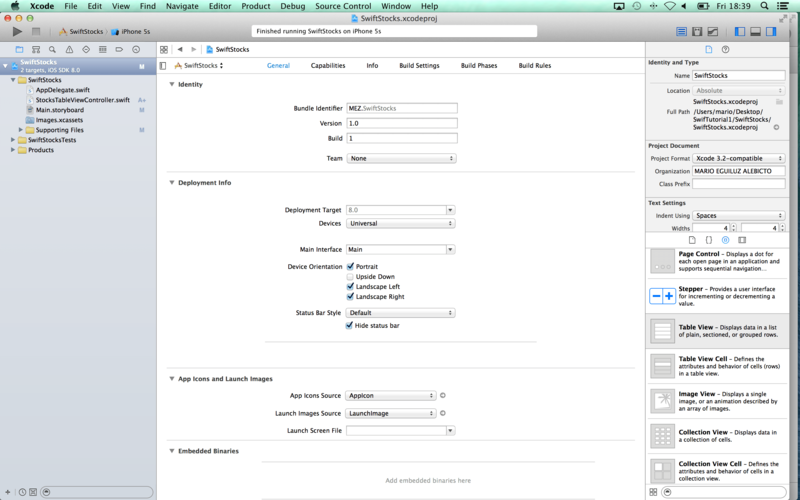 In this scenario, it seems that 3 different screens with 3 viewControllers should be a good start point. 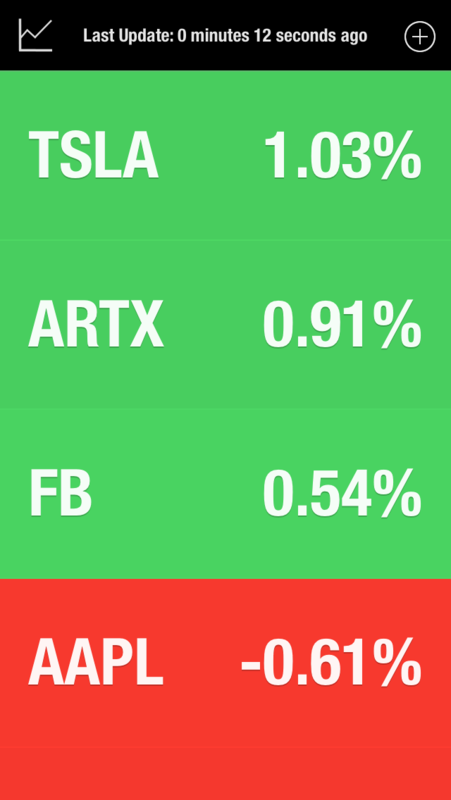 And what about the stock data that we are going to show? who will get that data in order to display it? 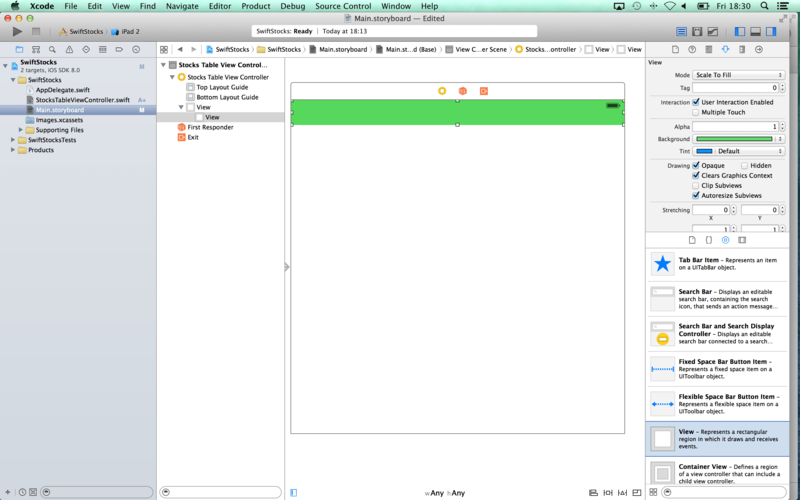 mmmm…Maybe we could use a singleton Manager to be responsible of gathering it… Lets see how this would look like: Not too bad right? 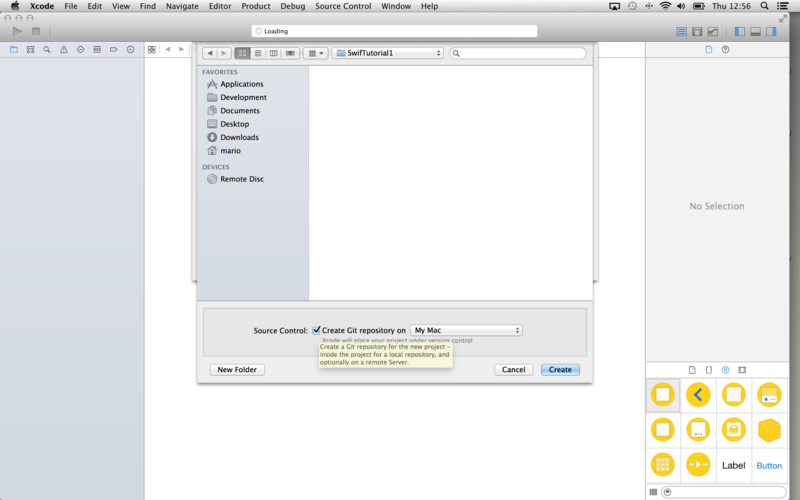 So now yes, it is your time beloved Xcode…let’s open it and start coding!!!!!! 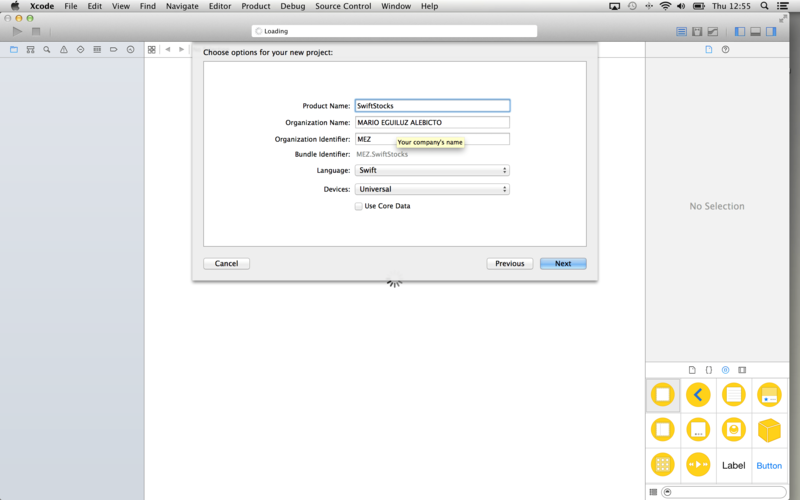 In Xcode, go to File>New>Project, and follow the screenshots steps: Ok, Xcode provide us a project template with the necessary code to start our financial app. 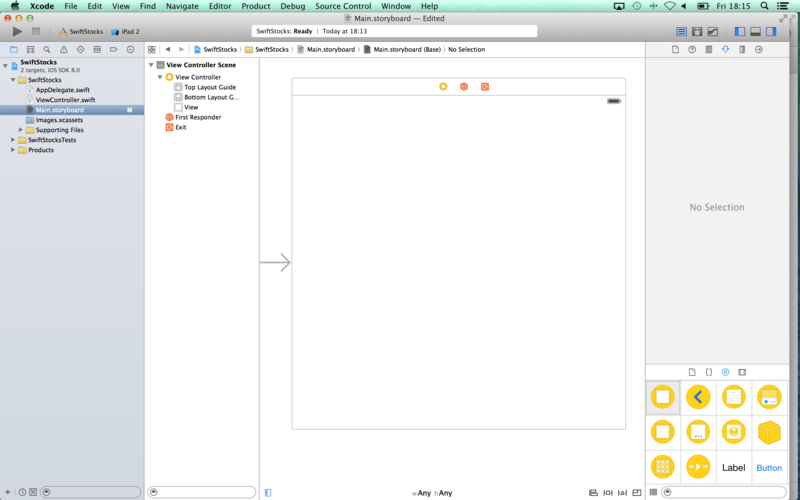 In Main.storyboard you will find the first (and only for now) viewController of your app. Open it. 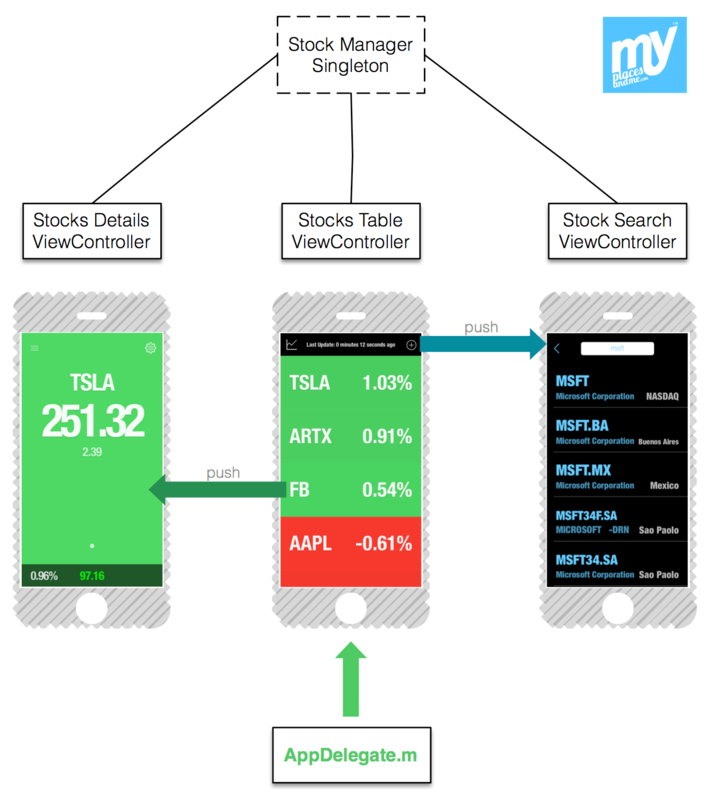 Based in our model, the first viewController should show the user a table with some stocks data. Let’s create it! The template has provided us a generic “ViewController” as our main view, but we want it to be named: “StocksTableViewController”. 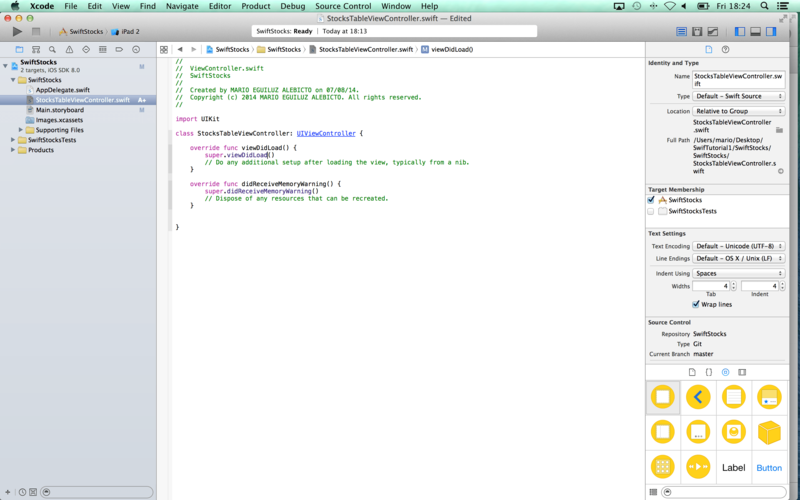 Select the swift class ViewController.swift and hit enter to change its name. Now do the same in the class header. You can see the origin file and the final one in the following screenshots. Now go to your storyboard. 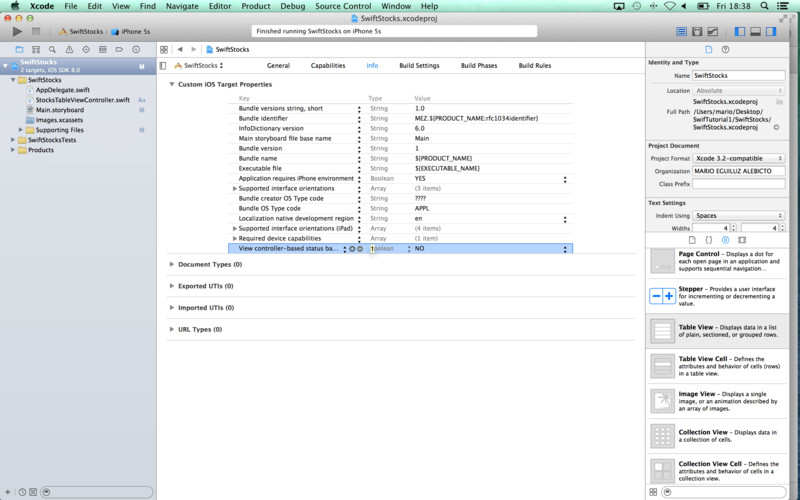 Click on the view controller, and go to the identity inspector in the right panel. 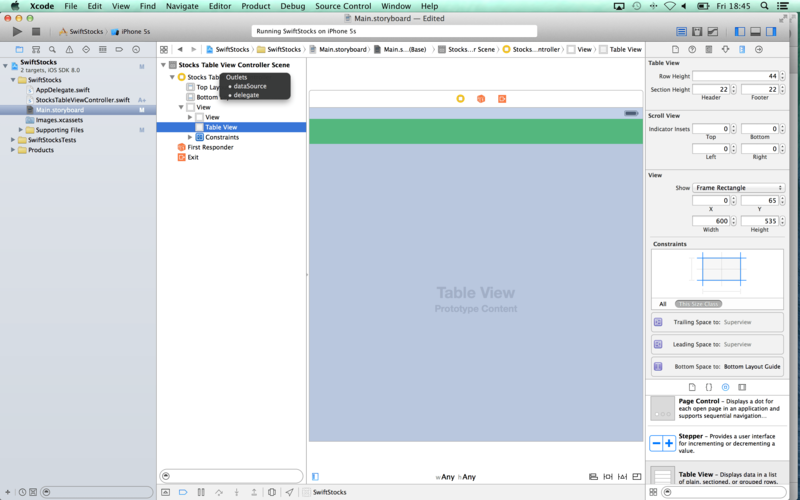 As you can see, the class that handle this view controller is still named “ViewController” It no longer exists, so change it to your new StocksTableViewController. 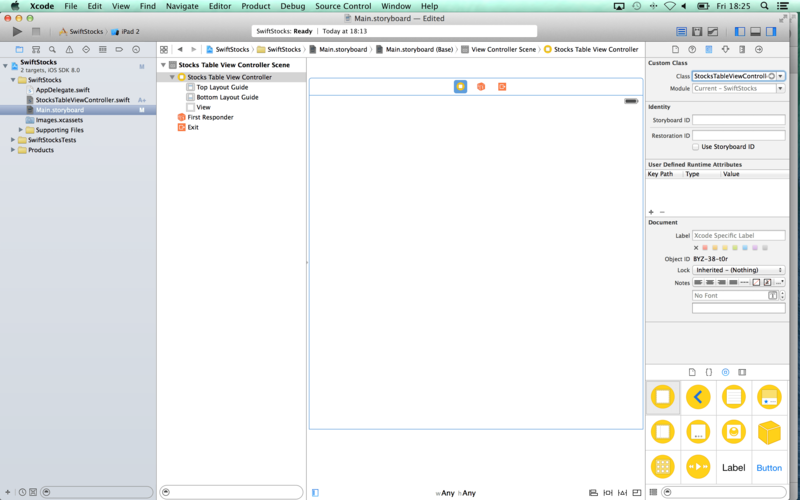 OK, now we are ready to start coding our main VC. 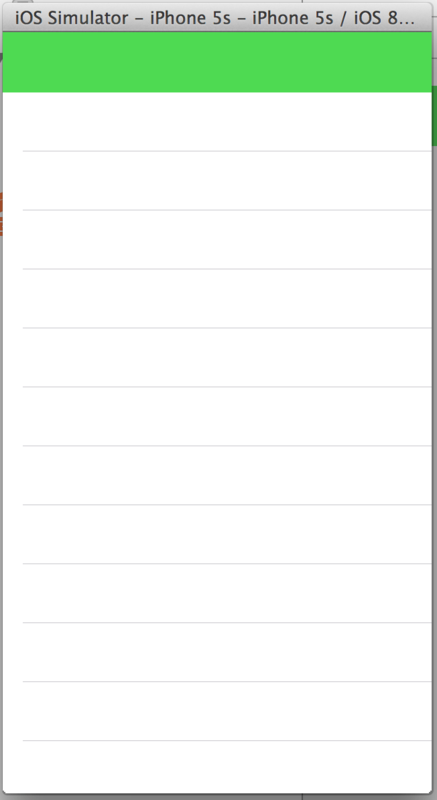 We will start adding the header view and the tableView below. 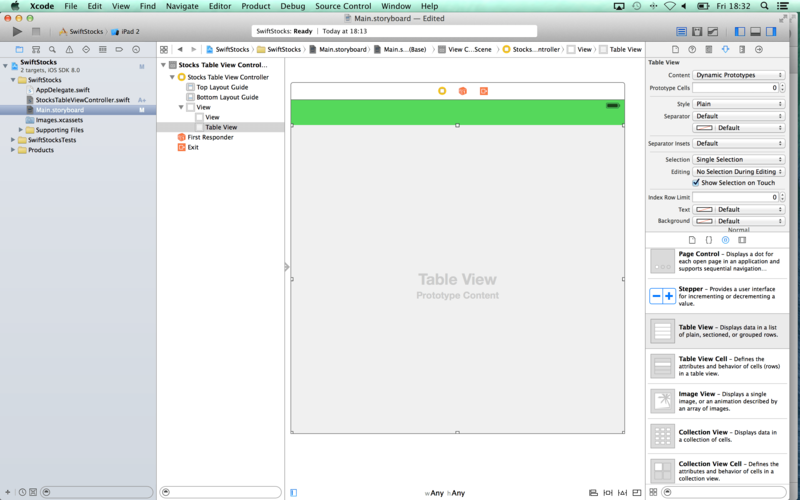 In the storyboard, add a View (I have changed its background color to green for clarification) and a tableView to the viewController below: Lets see how it looks like. 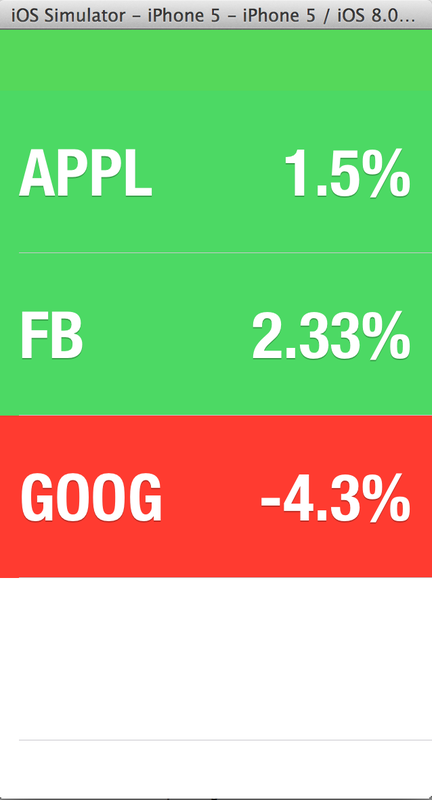 Select the iPhone5s and launch the app: If you see a green square with an empty table below, you are doing fine. If not, go back and review each step! What about the status bar over our green header view? In our prototype it doesn’t appear like that. And remember this golden rule: Designers would look into every pixel of your app…it better be EQUAL to the prototype our you will have a looooong argument! 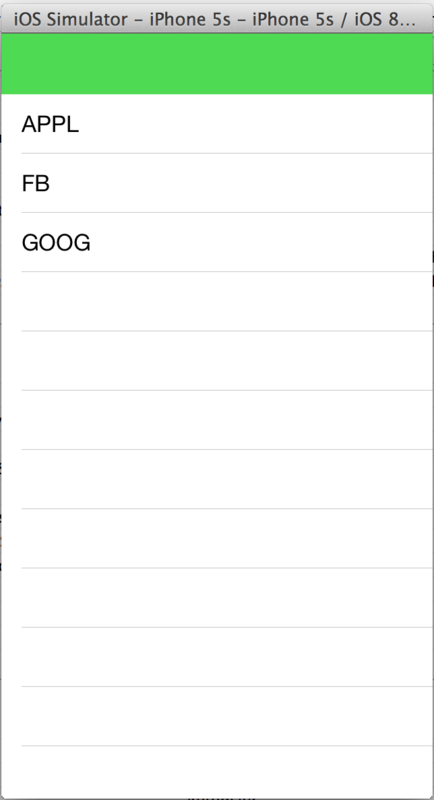 How we can hide the status bar in our app? 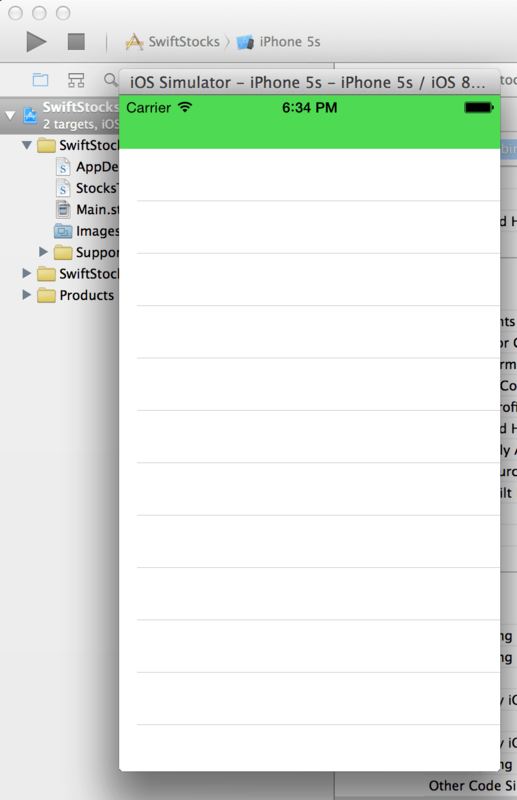 It takes these simply steps: Add a new property in the info tab of your project: View controller-based status bar appearance = NO In the General tab, tick the option “Hide Status bar” Run it and…Voila! He we are declaring an array, which contains tuples. Each tuple is made of 1 String and 1 Double. So we can store each Stock symbol with its value, in a unique array. Now we have to make some changes in the cellForRowAtIndexPath method. 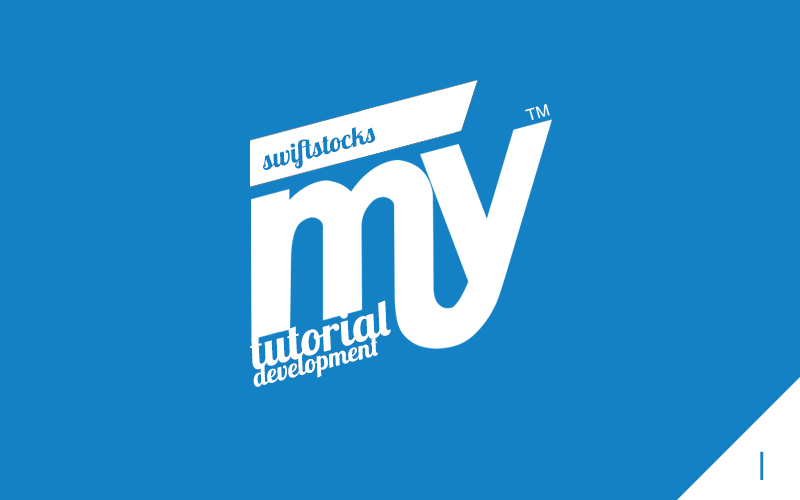 We obtain the symbol of the stock from a tuple in an array (not directly from the array), and we can add the stock value from the tuple too. 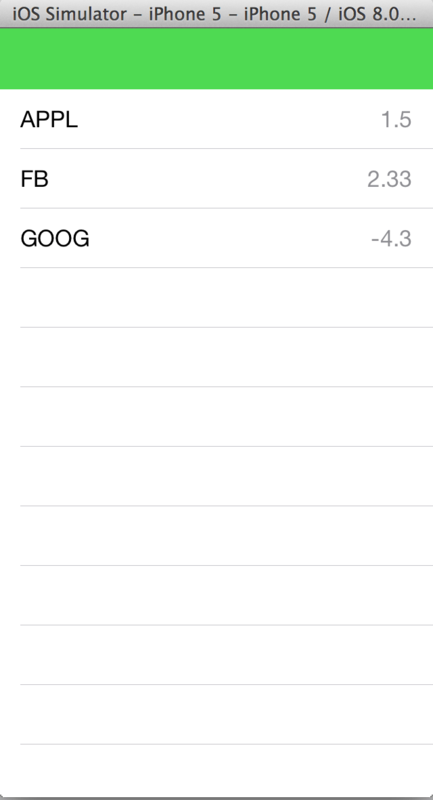 cell.textLabel.text = stocks[indexPath.row].0 //position 0 of the tuple: The Symbol "AAPL"
Inside the method willDisplayCell, we can customize our cell. 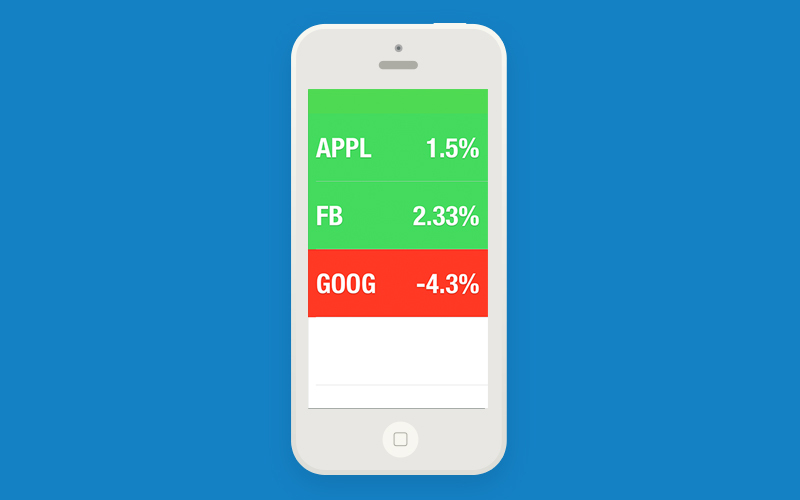 In the //1 block, we are changing the background color of the cell based on the % value of the stock. If it is positive, we put some green color, if it is negative, we put some red color, and if it is 0.0 we put some blue color. Here //2, we are changing the text properties of the labels: color, font and shadow. In the method heightForRowAtIndexPath //3, we can specify the row height. We put 120. Here you have the Github project and the download link. Hope you liked this tutorial. Feel free to comment, ask or improve it in the comments section. Bye bye!!! 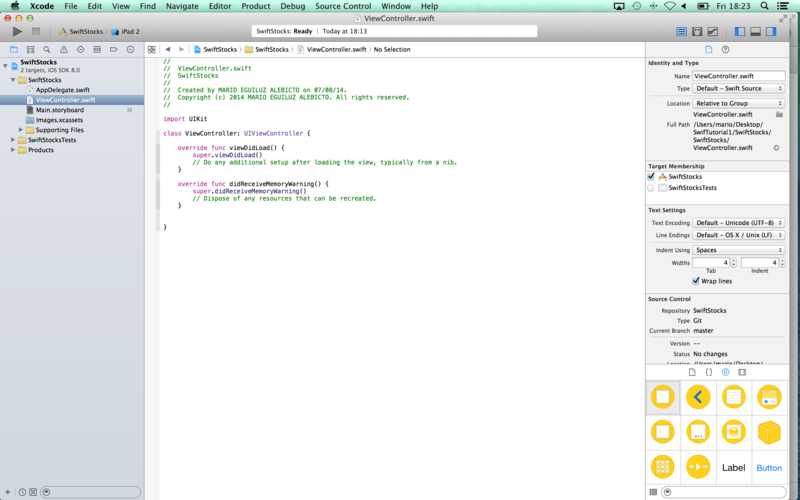 Code updated for Xcode new beta changes.